At a time when the media so often highlights our differences, we know that many things bring Oregonians together. From exploring Oregon’s natural wonders to reveling in the delicious food produced in our state, more things unite us than divide us. That’s why we are continuing our tradition of spreading peace on earth through pizza! As we gather this holiday season to celebrate traditions with our family, consider visiting a pizzeria for delicious food and a chance to help end hunger in our state. 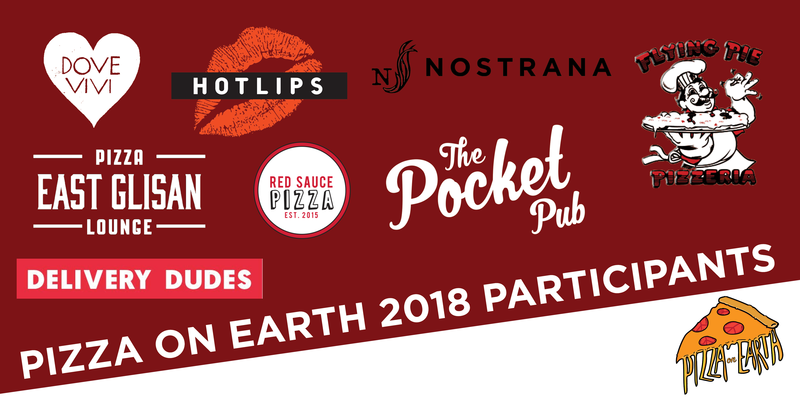 We invite you to join us for this year’s Pizza on Earth 2018. 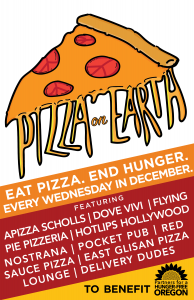 Every Wednesday in December, visit one of the participating pizzerias and they will donate a percentage of proceeds to Partners for a Hunger-Free Oregon. It’s as easy as that: invite friends and family to pizza; help end hunger. Not feeling up to getting out of the house? Order your pizza from Dove Vivi through Delivery Dudes, and they will BOTH donate to Hunger-Free Oregon! It’s a win-win. This December, as we are celebrating our shared love of pizza, we are honoring the restaurants who are giving back to the community. We want to lift up the stories of small businesses here in the Portland metro area who are dedicating resources to the anti-hunger movement. Thank you to all of the participating pizzerias for this year! To learn more and check out participating pizzerias, click here.